Should barriers be eased for ex-prisoners? 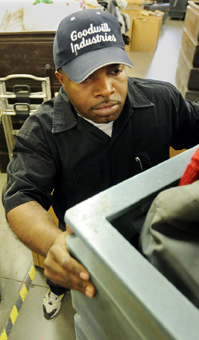 Many former prisoners are turned away from jobs because of their criminal records. The federal government, more than 30 cities and at least 26 states limit the kind of criminal-background information employers can obtain or when they can request it. Advocates for ex-prisoners say such restrictions don't go far enough in making it easier for former offenders to find work. But employers note that they can be sued for failing to check out an employee who harms fellow workers or customers. Further complicating the picture is new research suggesting that an old criminal history doesn't predict behavior. Meanwhile, the vast majority of the 92 million criminal records covering an estimated 65 million people are accessible online. And companies selling criminal histories may number in the thousands.